My 16-yr-old daughter and I went to Mothers/Daughters night at our church, and she shared a dance that she had been working on. Another writing about personal growth as an artist. My totally selfish post is how much I wish my niece and I lived closer. We have so much fun together. Being around her makes me want to be a better person. Hope you like my post on Lightened Up Pimiento Cheese for this weekend! Games, Labor Day and more!! A reader asked me which posts they should read first in my archives. I made a list of ten which include my 1st & 2nd most embarrassing stories ever and a ladybug phobia. 9. Magic City Post - My friend Pierce is climbing Mt. Kilimanjaro this weekend. Um, wow! 10. Birmingham Blogging Academy - A guide for those who want to get started in blogging the right way. Looking forward to your posts. Enjoy the Labor Day weekend! 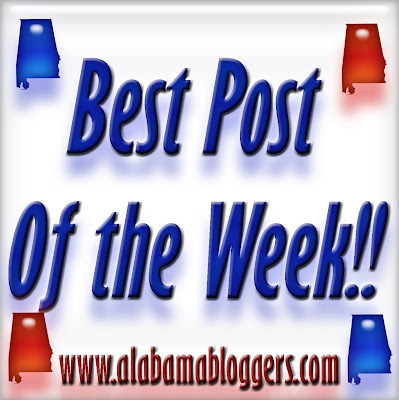 The link I left was for a post at my personal blog, mediaguycarl.com, on how the Alabama State Fair now has nothing to do with Alabama at all. The pig race was interesting, though, if you're a masochist who hates pigs. Note the new new location for Carl's Lost & Found. I moved it from Posterous to a hosted WP setup at mediaguycarl.com.